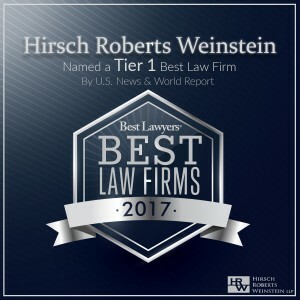 Boston, Massachusetts – November 2016 – U.S. News & World Report and Best Lawyers announced that Hirsch Roberts Weinstein, for the fifth consecutive year, has been named a “Best Law Firm”. 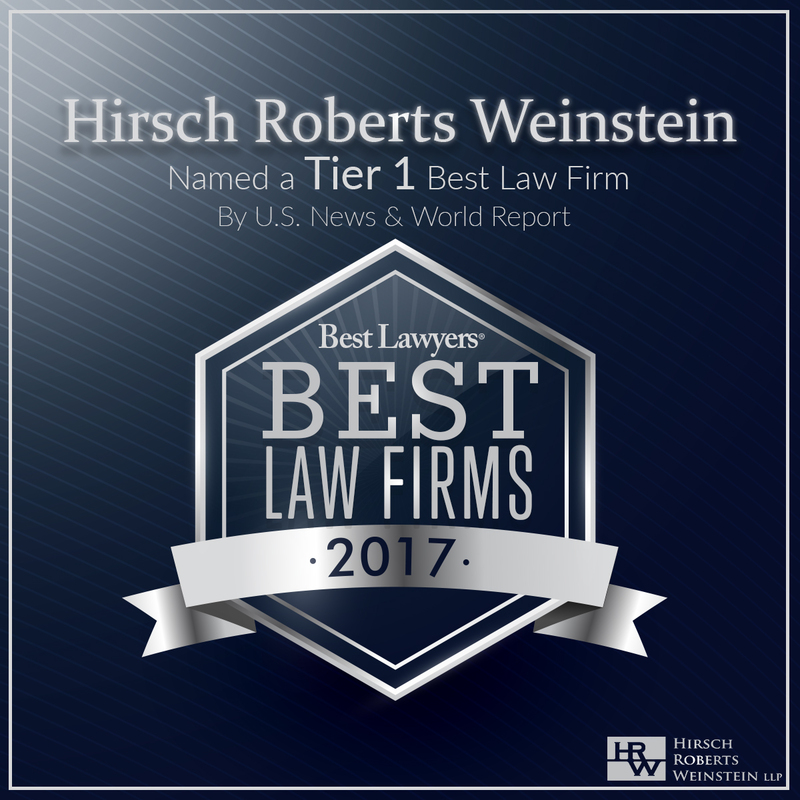 As a 2017 “Best Law Firm,” HRW is recognized by its peers and clients for professional excellence. The evaluation process is based on the collection of client and lawyer evaluations, peer review from leading attorneys in the same practice areas, and review of additional information provided by law firms as part of the formal submission process. Achieving a tiered ranking signals a unique combination of quality law practice and breadth of legal expertise. 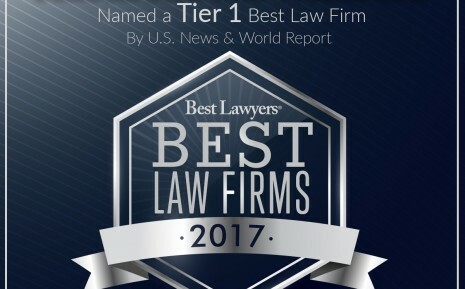 The tiered ranking designation reflects the high level of respect a firm has earned among other leading lawyers and clients in the same communities and practice areas for its abilities, its professionalism and its integrity.